An argumentative essay is a paper that provides the reader with both sides of an issue, and your perspective on the matter. Such a paper aims at providing information supporting both sides of the discussion as well as your point of view, or standpoint on the deliberation. The topic of an argumentative paper is often a controversial or contentious issue with available research material. Most college students prefer when their instructor provides them with topics for their argumentative writing assignments. However, the chosen theme will limit your creativity and is more likely to impact the overall quality of the argumentative paper negatively. When you have control over the topic of your assignments, you can organize yourself better. The subject of your paper does not just appear on your document or assignment; it takes significant effort and skill to develop one that is suitable. You can get examples of topics from online writing companies such as ours who provide a comprehensive list of argumentative essay topic for various disciplines. We have compiled a list of subjects that you can use with your argumentative essay. The subject matters are written by our experienced team of writers to be relevant, informative and up to date with current and emerging trends. All the topics we provide are, well-defined, clear and to the point, correctly formatted and always applicable to current events. Why does the rate of obesity keep rising in the US? How do international students benefit from student exchange programs? How can you maintain healthy eating habits? How can you stay safe in sports? Should the distribution and sale of tobacco be made illegal? Why was it a good idea to abolish the death penalty? At what age do most teenagers start drinking? Should live animals be used for research and experimentation? Why should teenagers be allowed to vote? Which subject combinations are the best today? Have the global changes in climate been for the better or worse? Are most electoral processes free and fair? Is the level of taxation acceptable for each person? Is it okay for prisoners to be allowed to participate in business activities actively? Is the government obligated to provide free health care services to its people? Should euthanasia and DNR requests be legal? Do the rich pay more taxes? Is the legalization of marijuana for medical use a good idea? Why should you recycle your household waste? Should torture be used to collect information from prisoners? Why are there diverse differences in child behavior? Are school fees and other academic expenses to too exploitive nowadays? People’s views on abortion |Should it be illegal? What is the effectiveness of the death penalty? Is tobacco more harmful than bhang? Is it advisable to start a journal? Is people’s privacy infringed upon by cameras in public places? Have people become too dependent on the internet? Does the amount of homework impact grades? Should there be drug tests in schools? Having learned of the qualities and characteristics of an excellent argumentative paper topic, you are now better equipped to use any one of our topics provided online. What you need to do is identify a suitable subject on our website. However, the themes we provide are supposed to be used as examples and templates to help you develop your topic and avoid any cases of plagiarism. Nonetheless, if you do not feel that you are up to the challenge of writing, there is another option you can choose. You can place an order to have an original argumentative essay written from scratch by our writers. 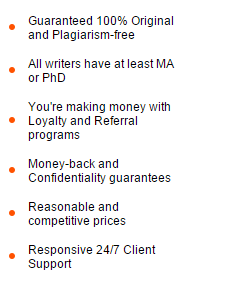 We are among the best online writing companies, and we would be more than happy to assist you in any way we can. Place your first order today.